Dr Brian McCloskey was formerly the Director of Global Health for Public Health England, London, UK and now works as a Consultant in Global Health Security. He has worked in public health at local, regional, national and international level over a period of 25 years, including the UK’s Health Protection Agency, with a remit for emergency planning and responsibility for cross government aspects of the agency’s response to major emergencies. This included the HPA’s response to the London bombings, Buncefield Oil Depot fire, the Litvinenko polonium poisoning, flooding incidents and pandemic flu. He also had the lead role in planning the public health services for the 2012 London Olympics. Brian has been working with WHO’s Mass Gatherings Advisory Group since 2008, and headed up the Collaborating Centre on Mass Gatherings until 2017, working with mass gatherings such as the Hajj, the World Cup in South Africa as well as the London Olympics and recently Rio and Tokyo. Brian acted as PHE’s National Incident Director for Ebola when it became a national incident in 2014 and was then seconded to work with the UN Special Envoy on Ebola, based in Geneva, until April 2015. Brian was a member of WHO’s Review Committee on the Role of the International Health Regulations (2005) in the Ebola Outbreak and Response and a member of the Eastern Mediterranean Region’s IHR Regional Assessment Commission. He has also been involved in the evolution of the Global Health Security Agenda, the development of the WHO Joint External Evaluation (JEE) of IHR capacity, and has participated in several JEE missions. Brian is a member of WHO’s MERS, and Health Security Interface, Working Groups. Brian also works with the Chatham House Centre on Global Health Security on strengthening and coordination of R&D in outbreaks. Between 20015 and 2017, Brian was responsible for establishing the UK’s Public Health Rapid Support Team for deployments in serious outbreaks globally. 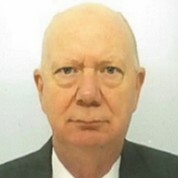 In the January 2013 New Year’s Honours List, Brian was awarded a CBE for services to public health.